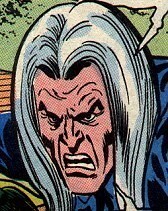 ← Cotton Mather, Marvel Supervillian? MediaWiki/WordPress User Integration: One step closer to a bling bling bliki! Update: I tested this extension with WPMU to no avail. Looks like it works only with single WP installs 2.1 or higher with MediaWiki installs that are PHP 4 based (I got it to work with version 1.6.8). Alan Levine off-handedly tweeted and del.icio.us’d a little extension for MediaWiki that he found @ Hery-Dev). What does this extension do? Well, it does nothing less than allow any users within a specific WordPress blog to seamlessly login to an associated MediaWiki install with the same login and password. Users do not need to create a login and password twice, for anything they do in WordPress is carried over into the authentication process for MediaWiki (even subsequent password changes, yes!). In other words, you can now have a class/group site for a WP blog and have the users login into a MediaWiki install without going through the process of creating another account -we are getting one step closer to single sign-on for these disparate web applications. Keep in mind that I do not think in works in reverse, so if you create a user in MediaWiki, he/she will not necessarily be able to login into the related blog -but I still have to test that scenario. If you have a use for this here is a very helpful hint that may save you some time if you are thick-headed as I am. After you install the extension and include your database information for WordPress in the LocalSettings file of MediaWiki, you may have trouble logging into MediaWiki with your pre-existing WikiSysop username and password. I was banging my head against the wall all day to figure this out, after innumerable Google searches and a re-install, it so happens that the simplest solution was the right one. You simply need to create a WikiSysop username (or what ever login/password combo you were using in MediaWiki) in WordPress and you’re money. The Bliki is getting ever more bionic these days! Next up, try it out on WordPress Multi-user. This entry was posted in WordPress and tagged bliki, blogging, dtltblog, mediawiki, wiki. Bookmark the permalink. 8 Responses to MediaWiki/WordPress User Integration: One step closer to a bling bling bliki! Can the extension still be downloaded somewhere to integrate mediawiki and wordpress 2.7.1 ? It seems as if this extension broke as of WP 2.5+, which is a nightmare. The issue with all this stuff is that something as easy as integrating the user tables for MediaWiki and WP is a constant battle that is likely to break with every upgrade. Wow, this post sounded like it was going to totally deliver exactly what I’m looking for as I upgrade my website to run wordpress and mediawiki… but it broke at 2.5? is there a current plugin that makes this work again? The CUNY Academic Commons has figured this out, and it is a good hack. Jim! YOU ROCK! thanks so much.